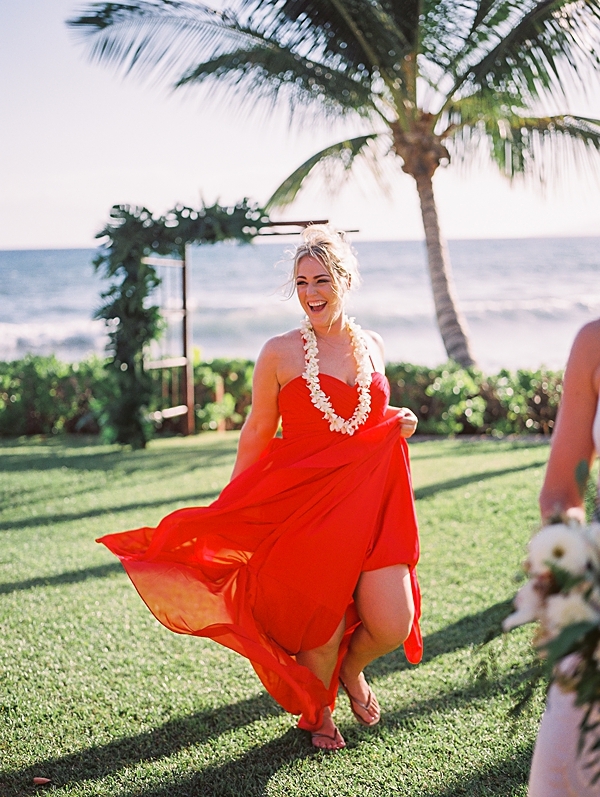 It's a special treat when I get to travel for a wedding, and Leah and Gareth picked the perfect place for their destination wedding: Maui! 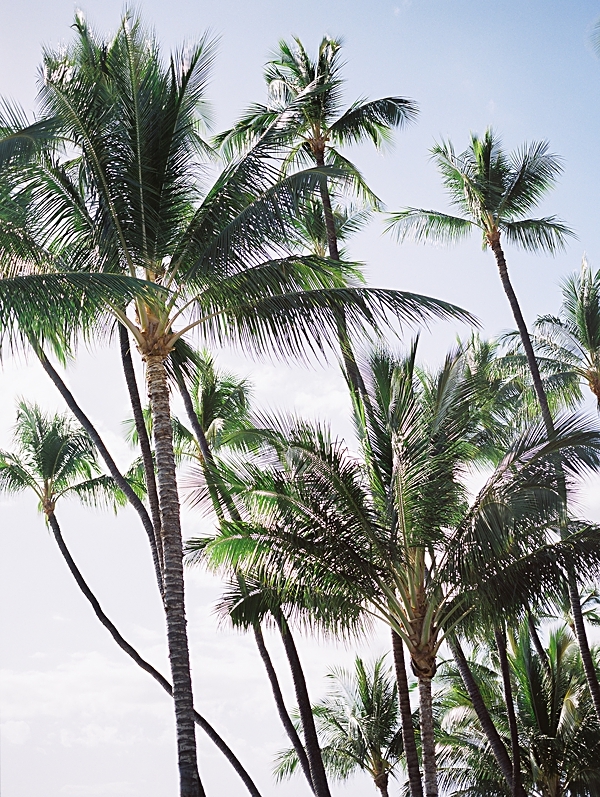 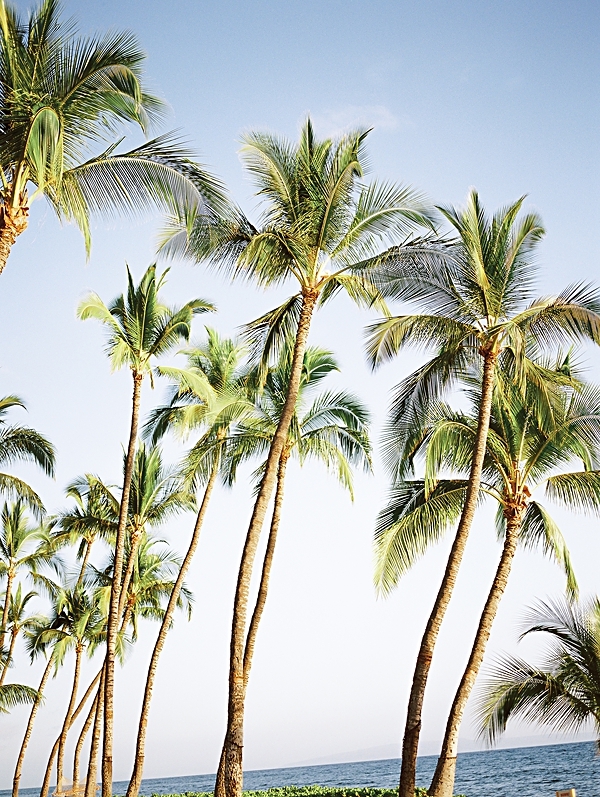 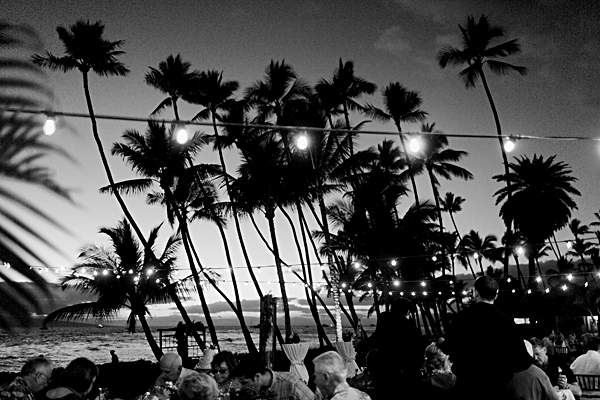 Besides being a stunning vacation spot, Maui has a special place in their lives, and the lives of their family. 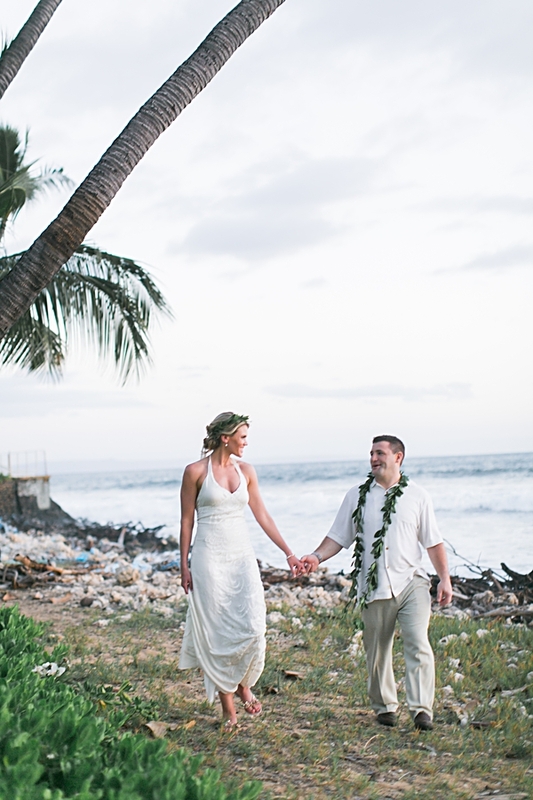 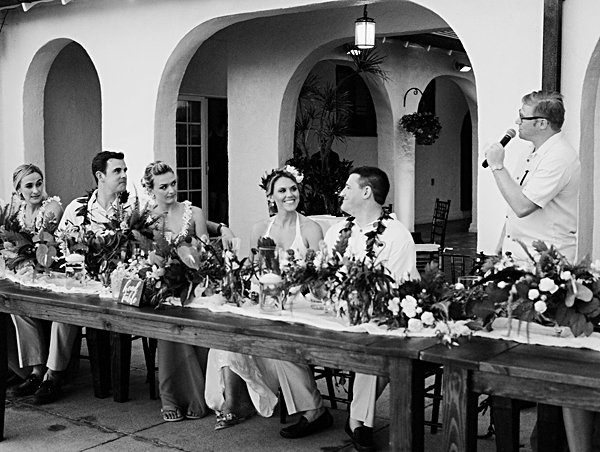 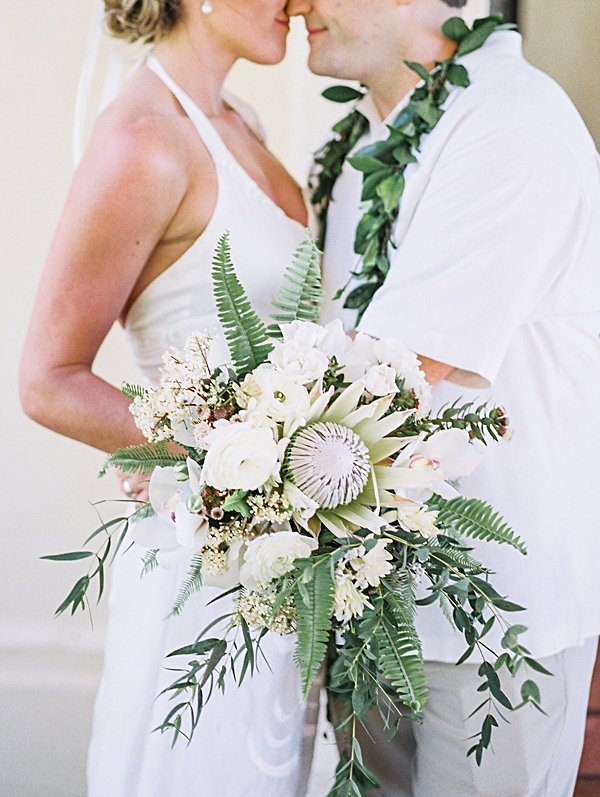 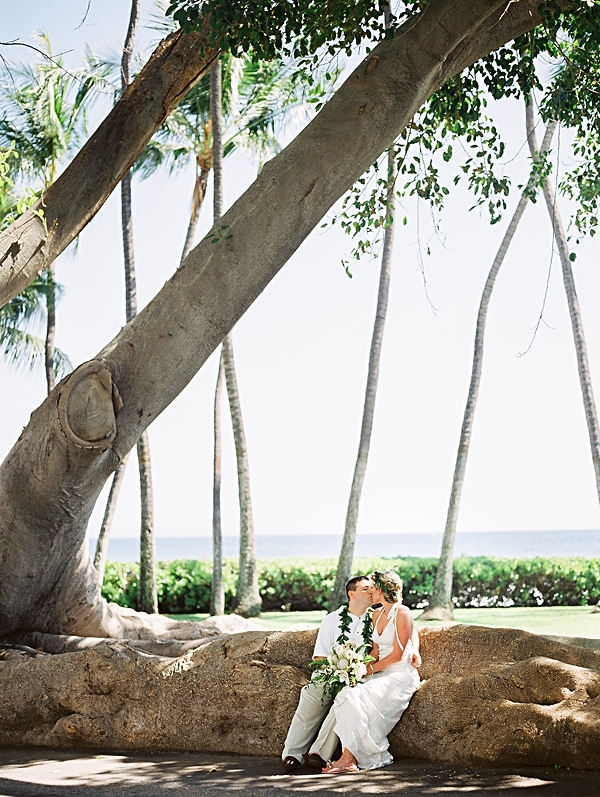 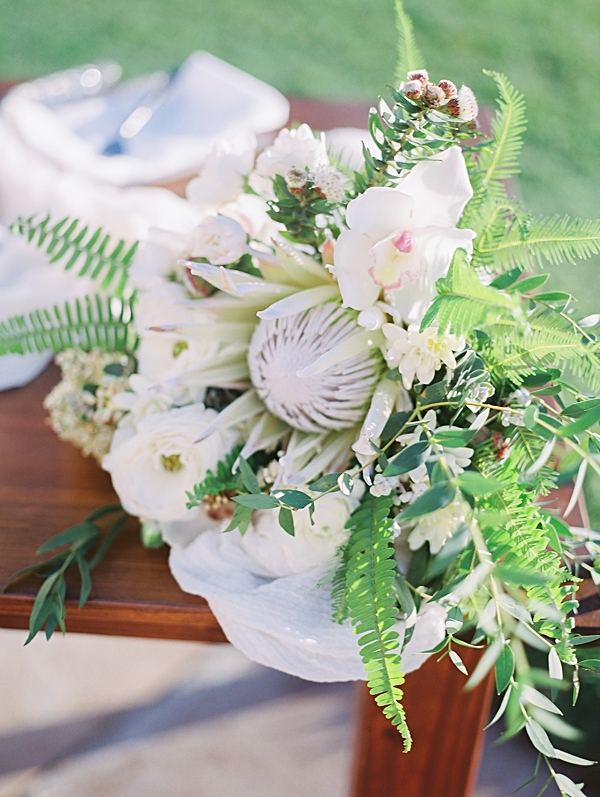 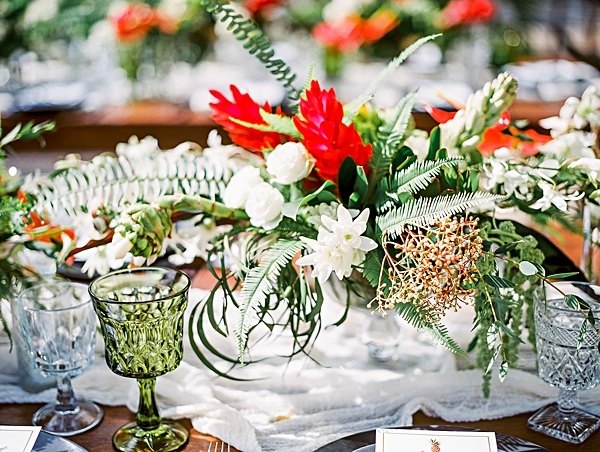 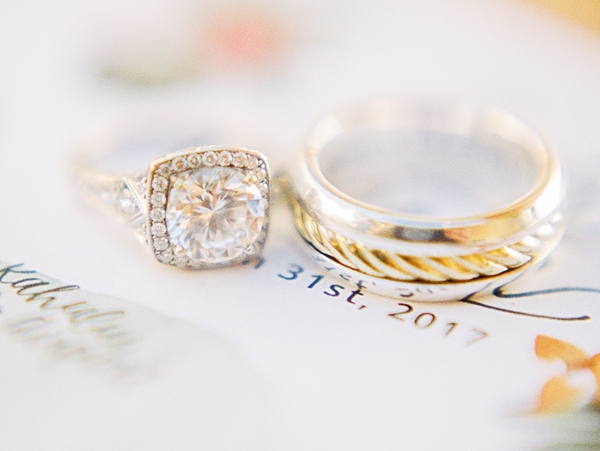 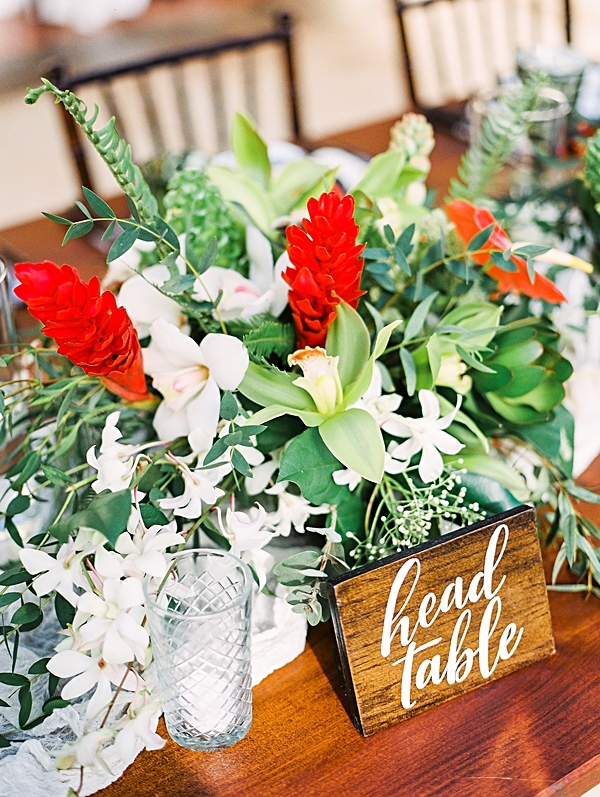 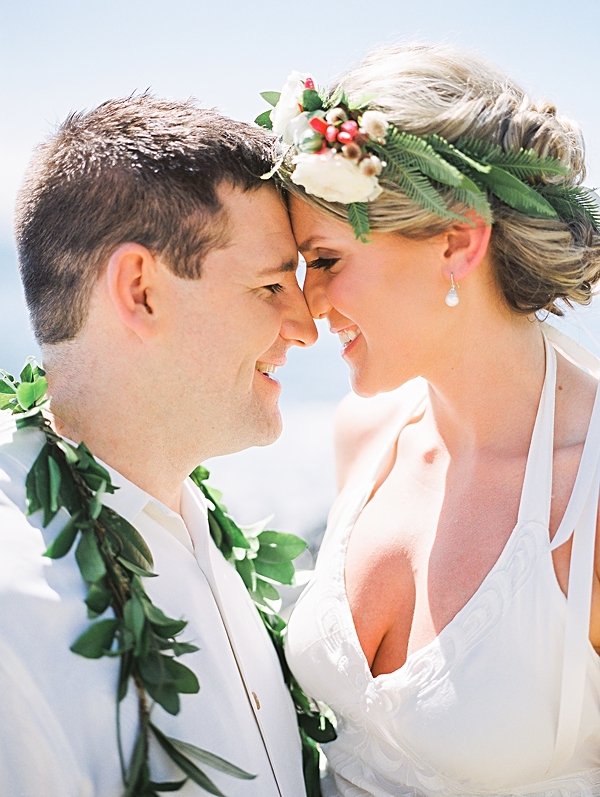 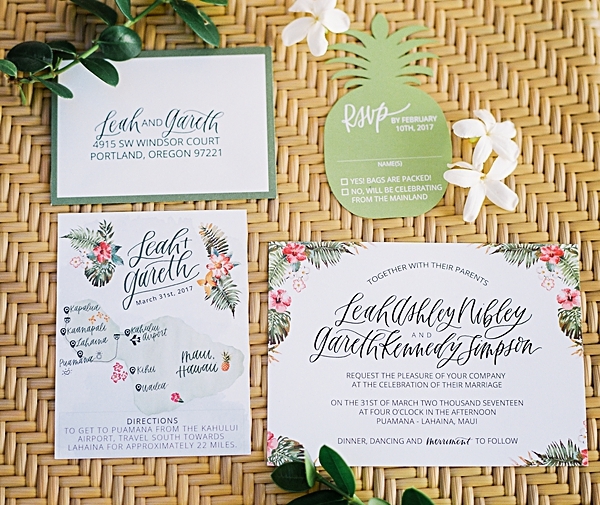 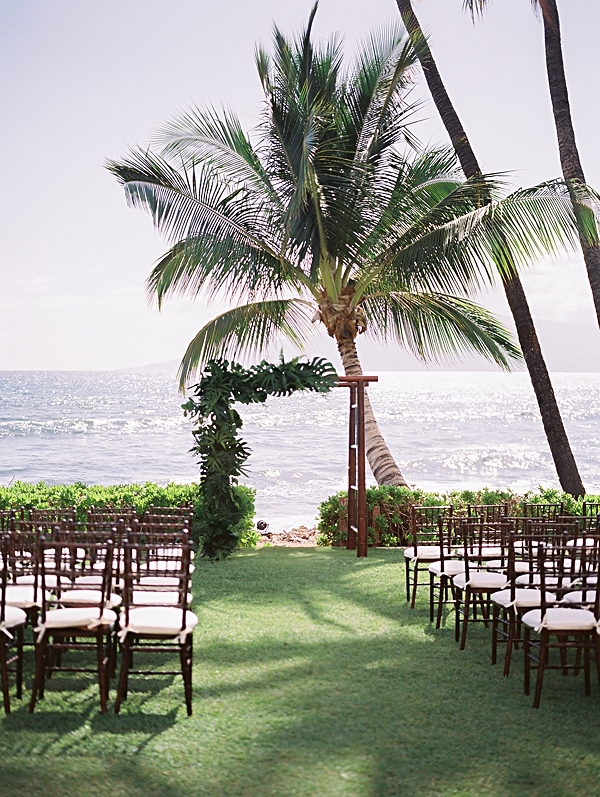 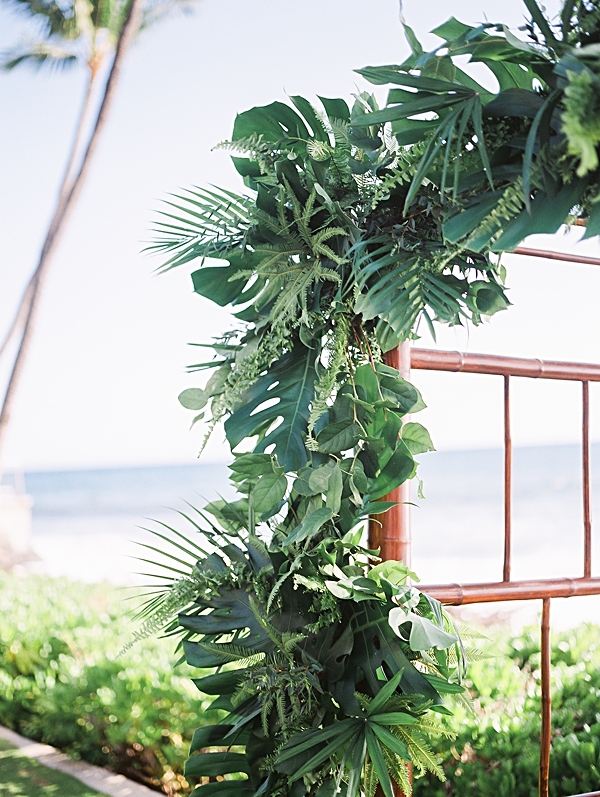 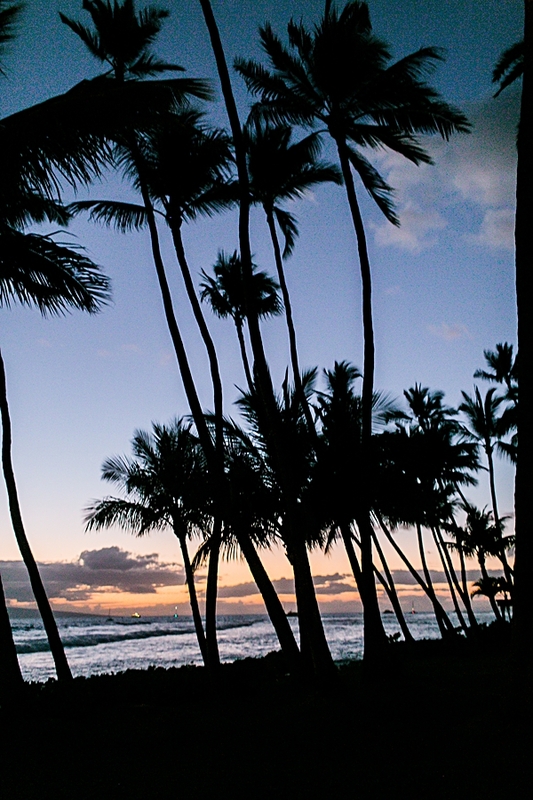 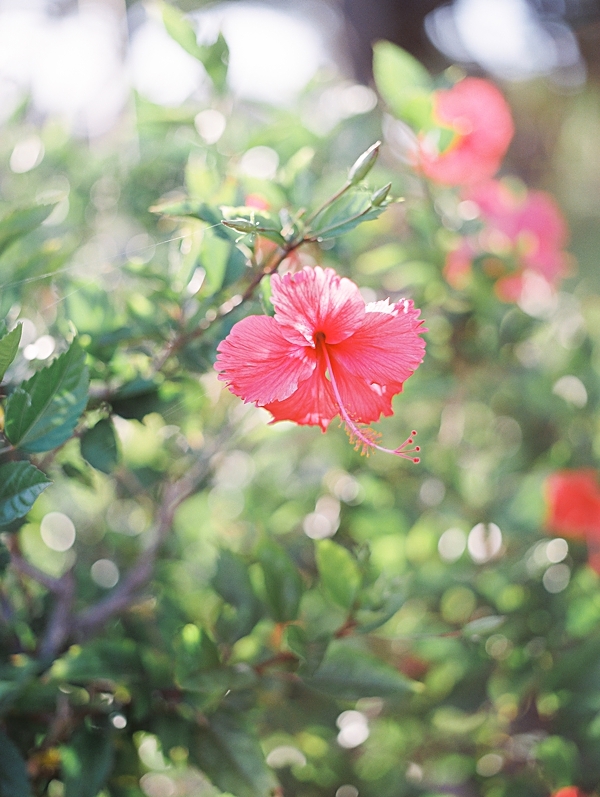 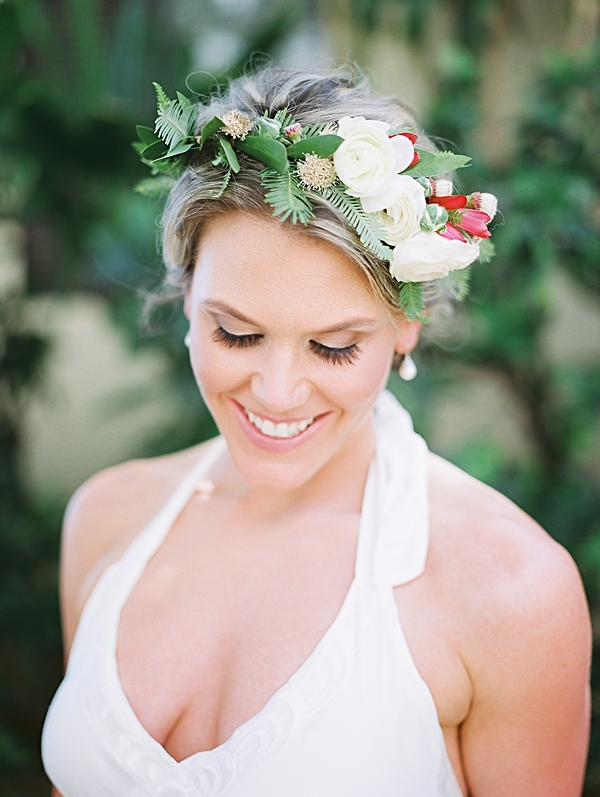 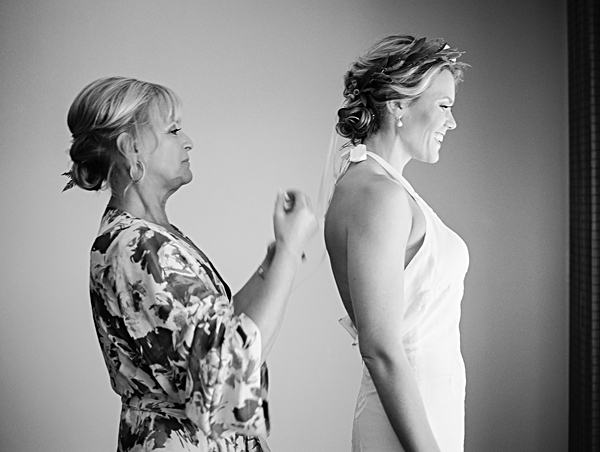 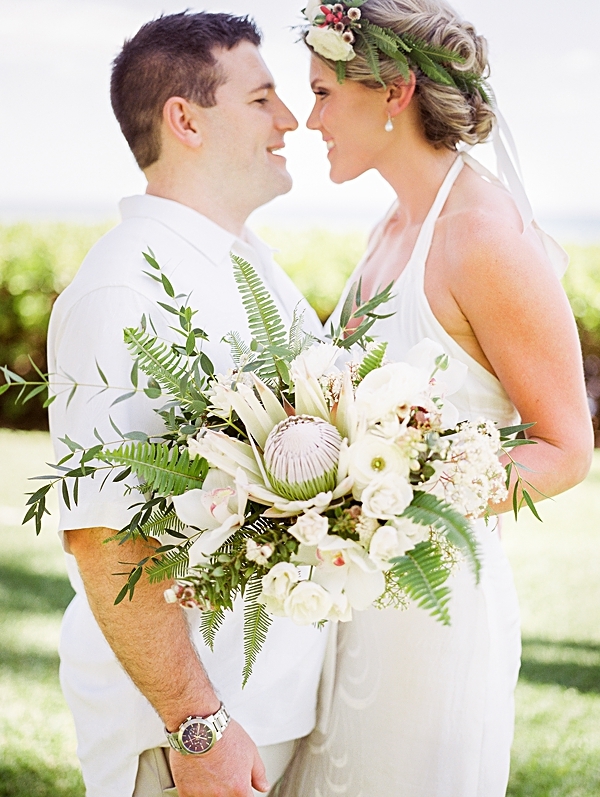 Leah grew up traveling to Maui, and stayed often at the venue they chose for their ceremony. 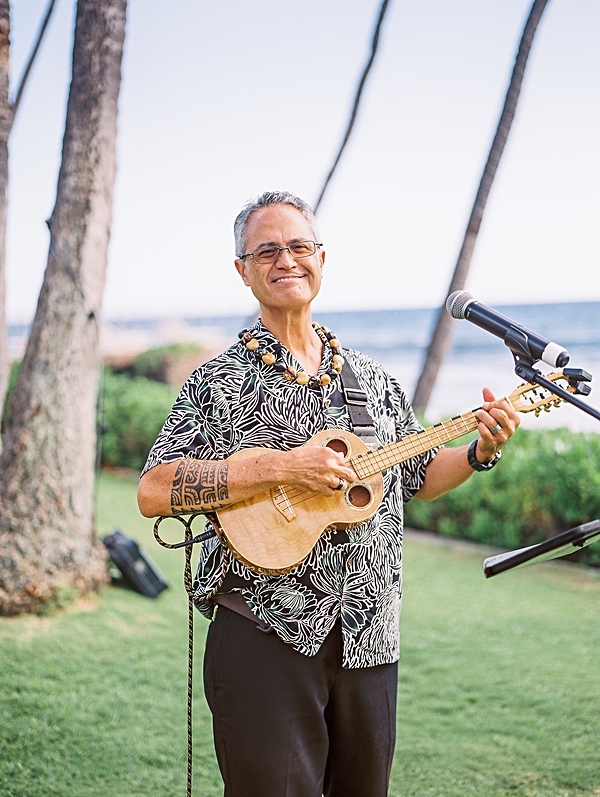 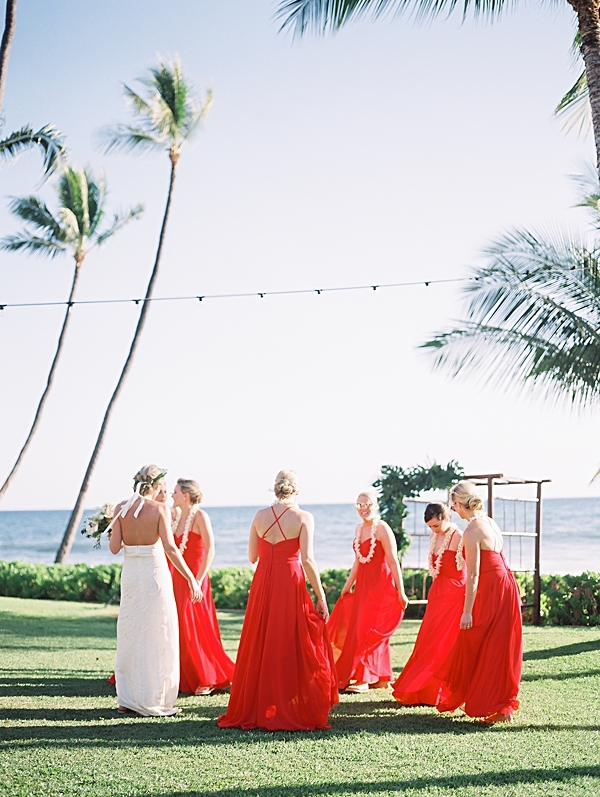 Their venue, Puamana Vacations, is located in the beautiful region of Lahaina in West Maui. 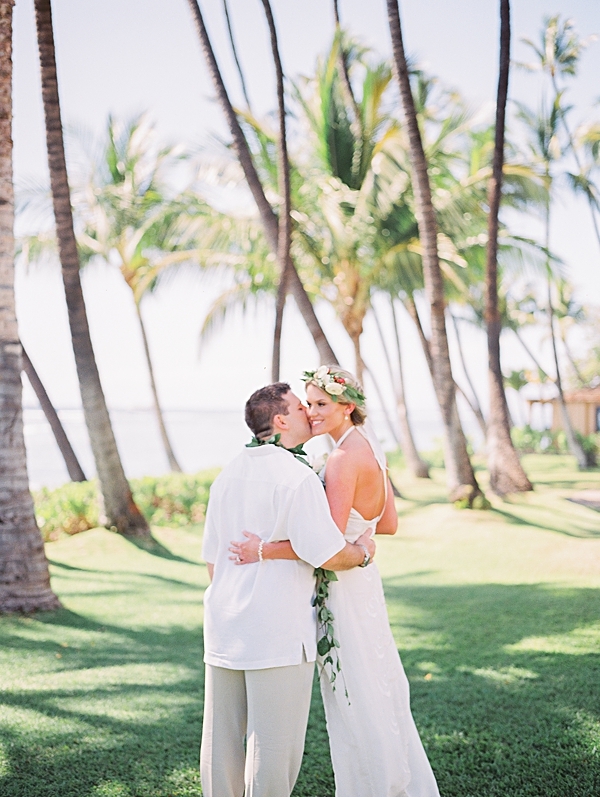 I immediately fell in love with the lush greenery, and the tropical views, and couldn't wait to use the locations around the property for their photos. 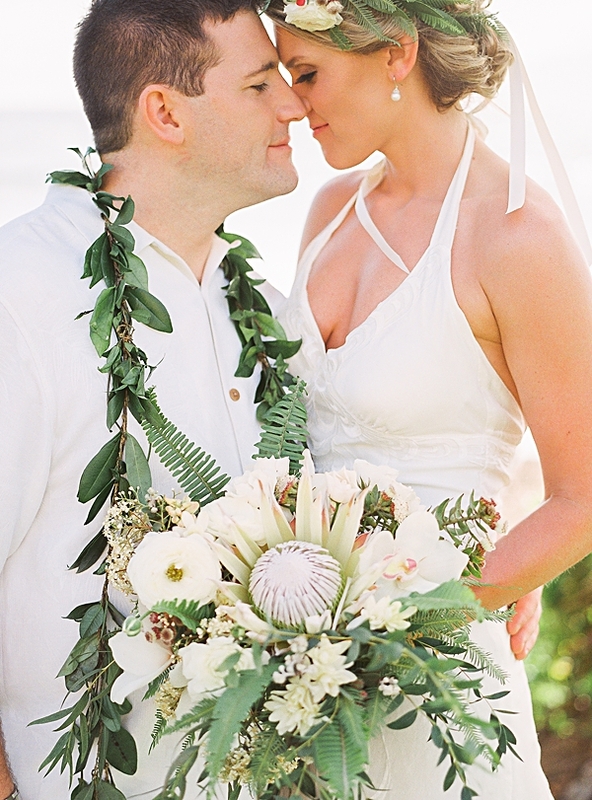 The day of their ceremony was incredibly special. 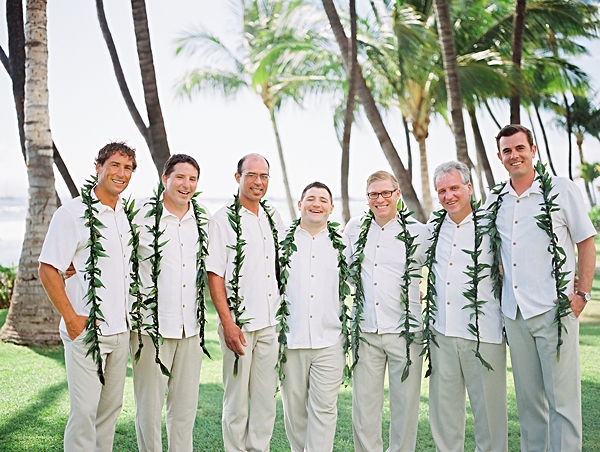 They thought through every detail imaginable, and all the special touches made their day feel very personable. 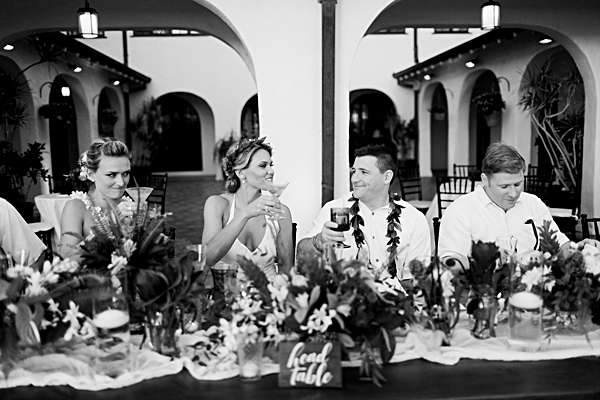 I loved the signature cocktail menu that was written on a giant leaf, and the little pineapples atop each menu! 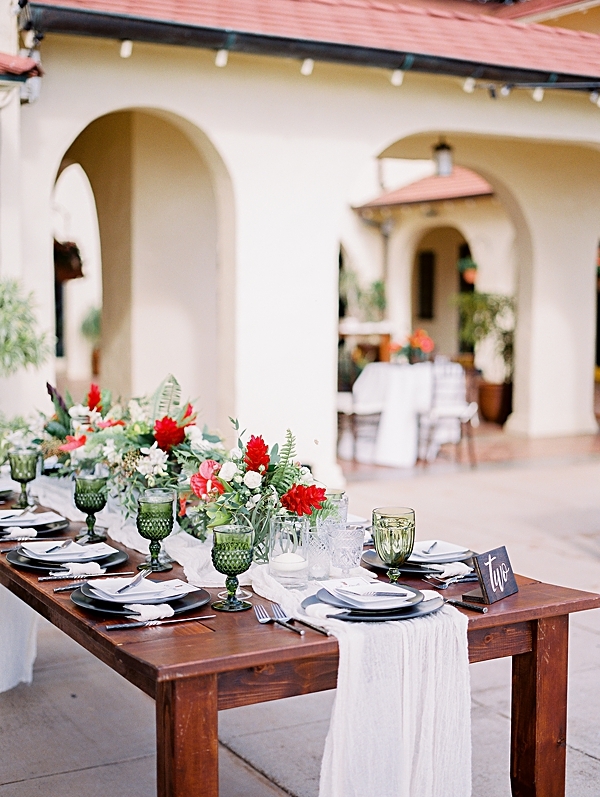 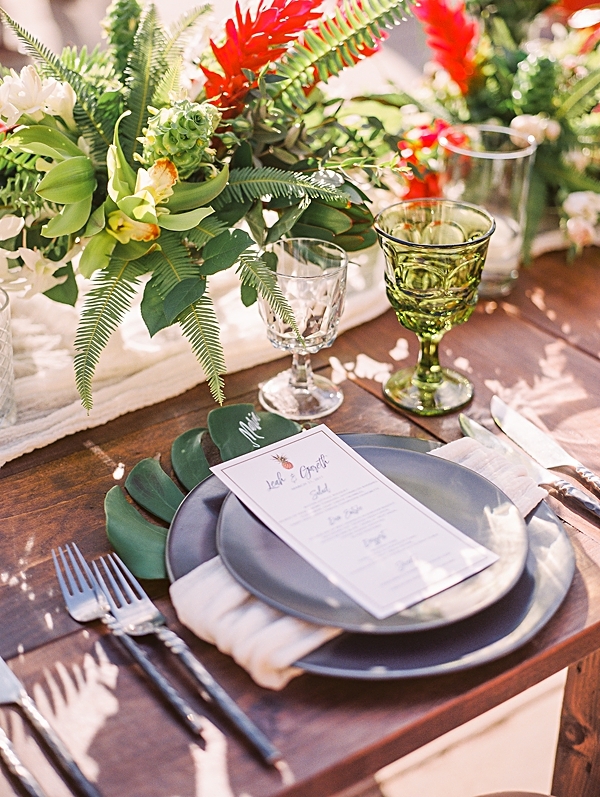 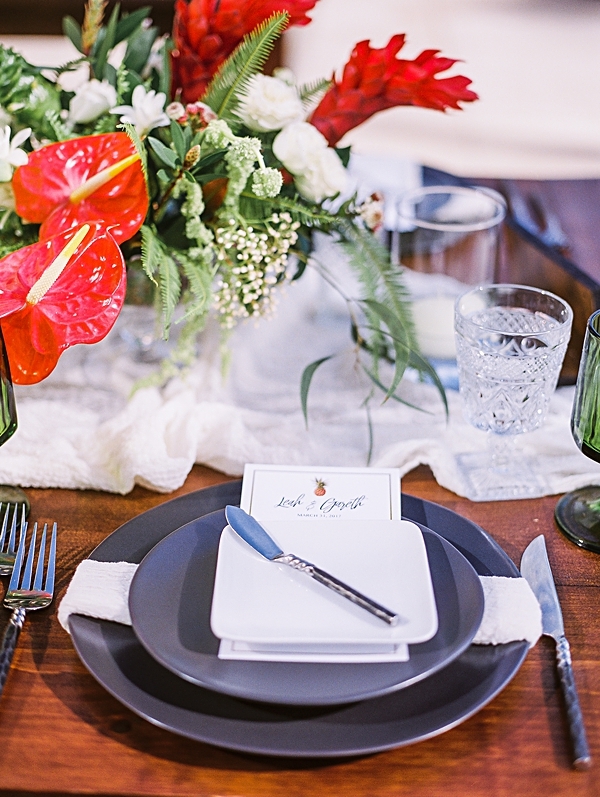 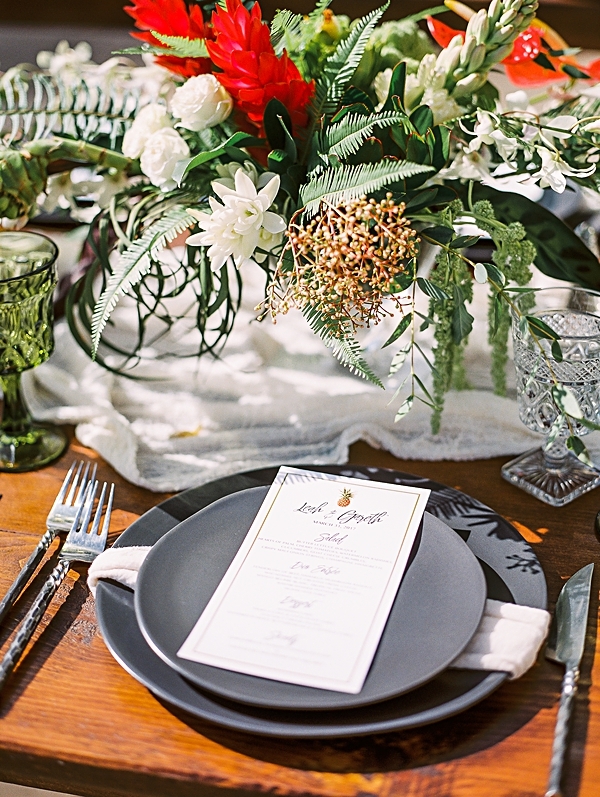 The carefully decorated tablescapes really set the scene for the celebratory toasts and elegant cake. 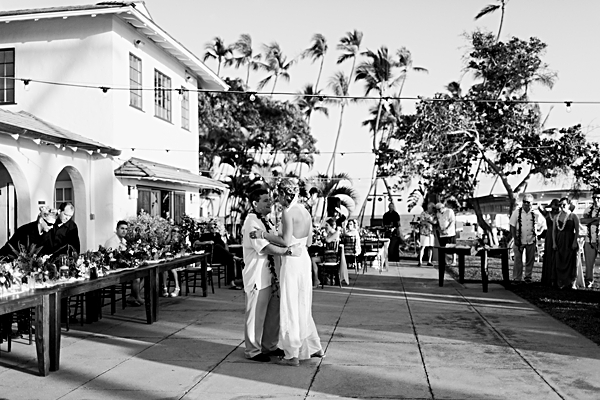 Everyone who attended their ceremony and reception clearly loved this precious couple, and I felt so welcomed as the photographer. 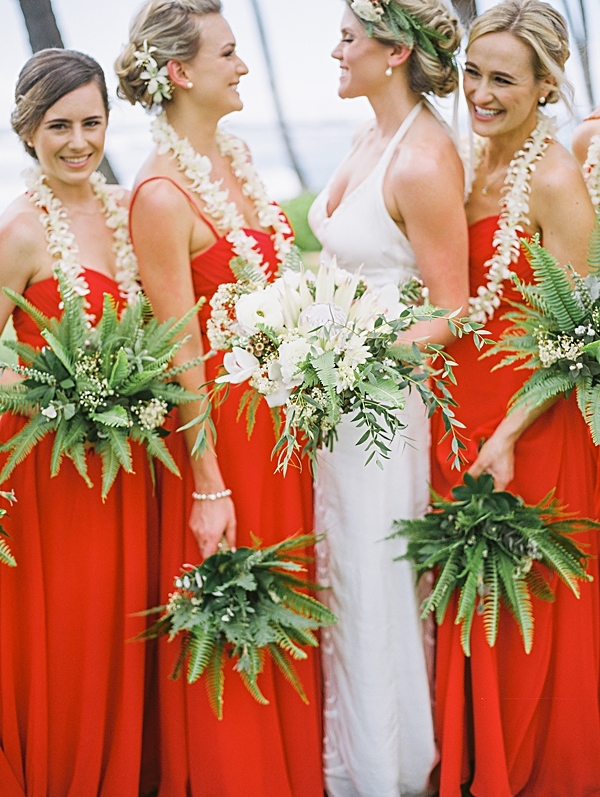 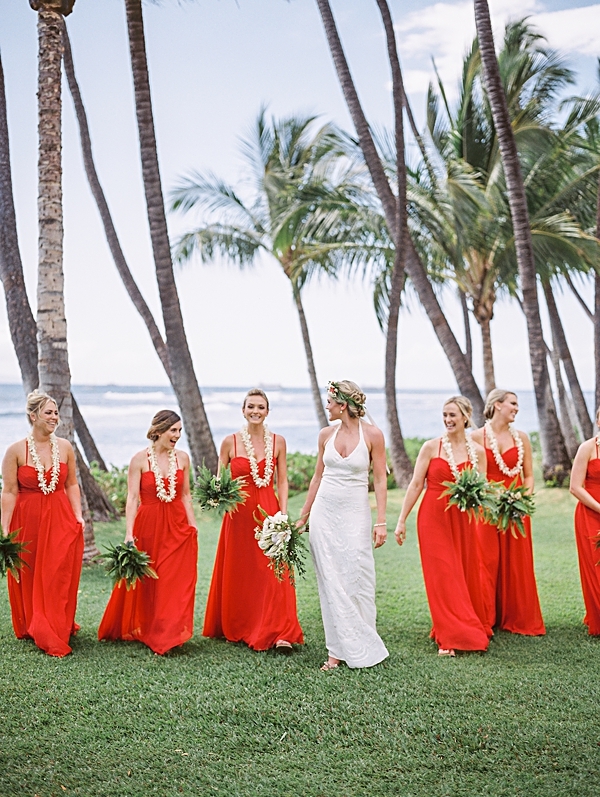 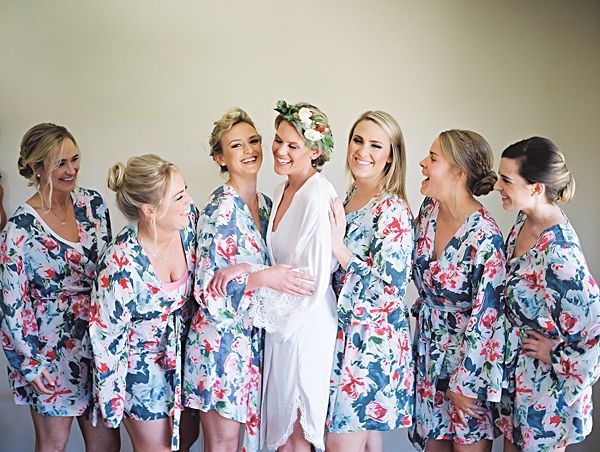 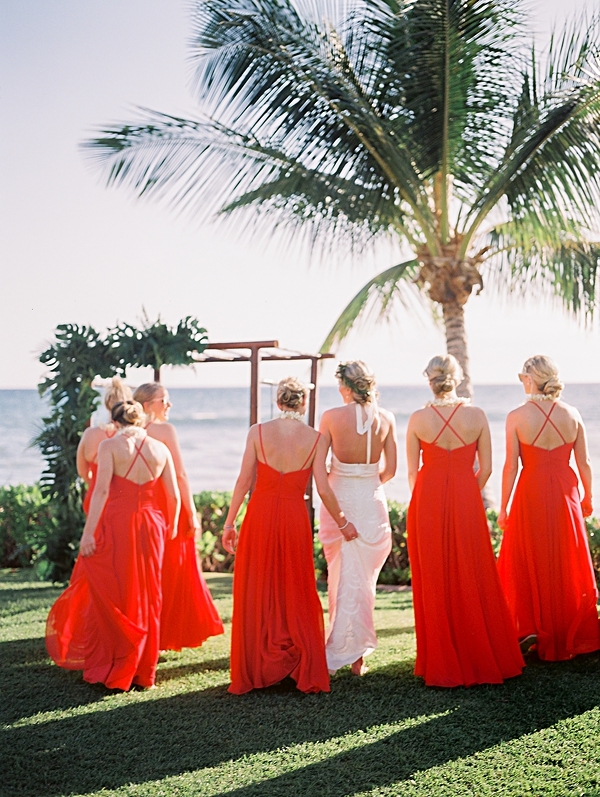 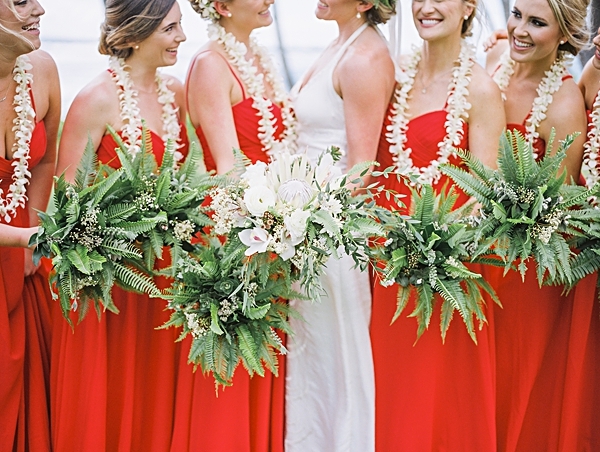 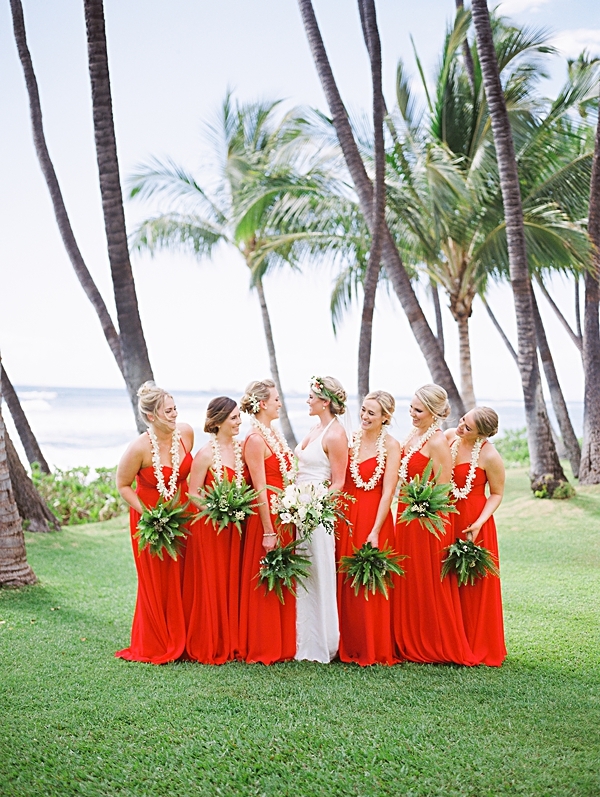 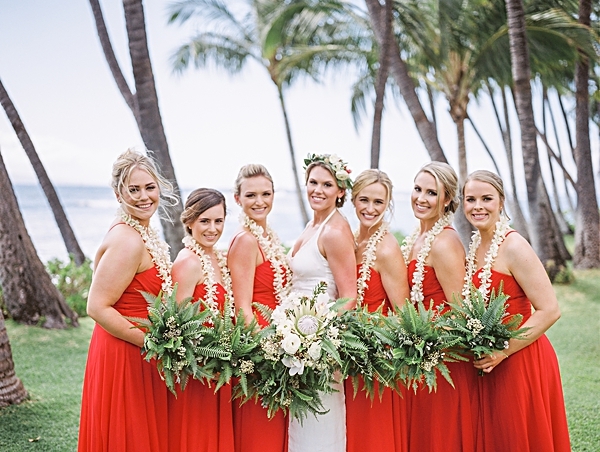 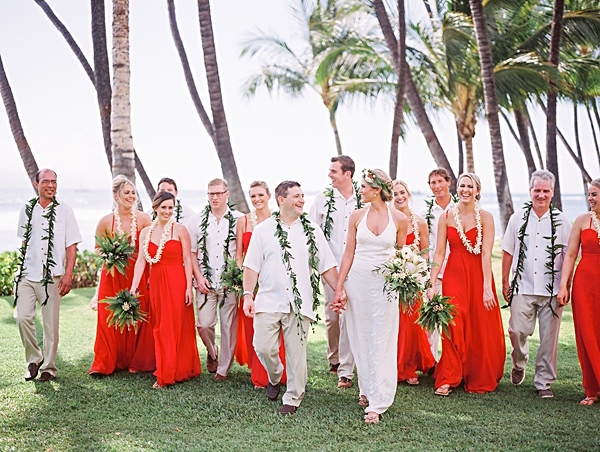 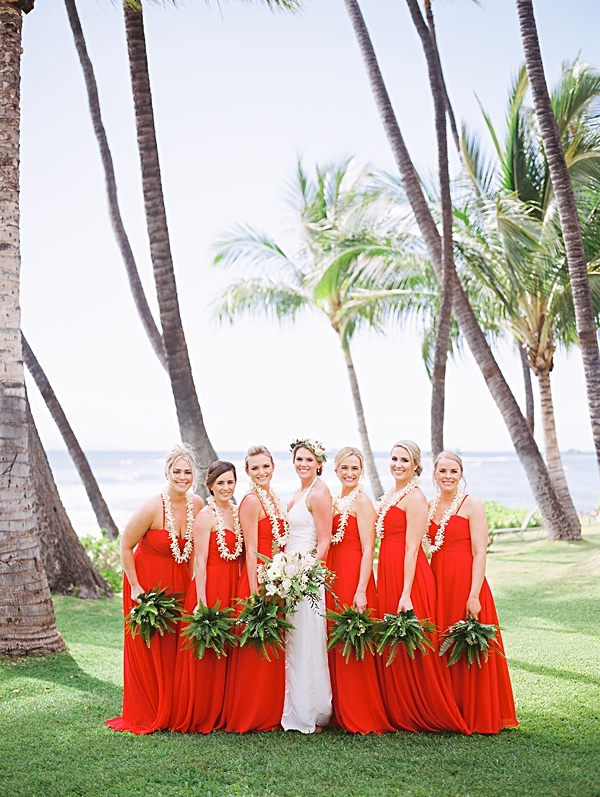 Leah chose vibrant red bridesmaid dresses, and they really captured the feel of the islands. 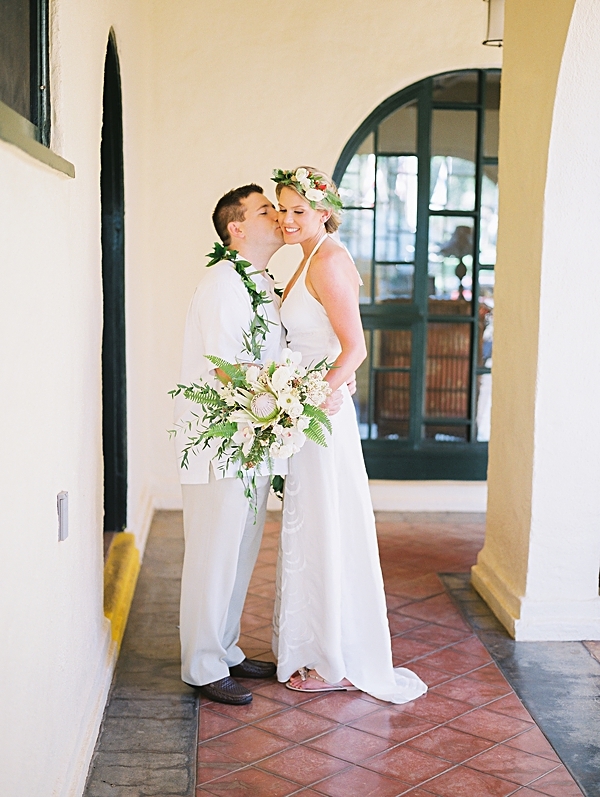 Thanks to this darling pair for allowing me such an honor; I wish you both years and years of love and happiness!